Polyphant Quarry. | Launceston Then! Polyphant is home to three separate quarries, one that was closed and is now the site of the Cornwall County Highway’s depot at Two Bridges. 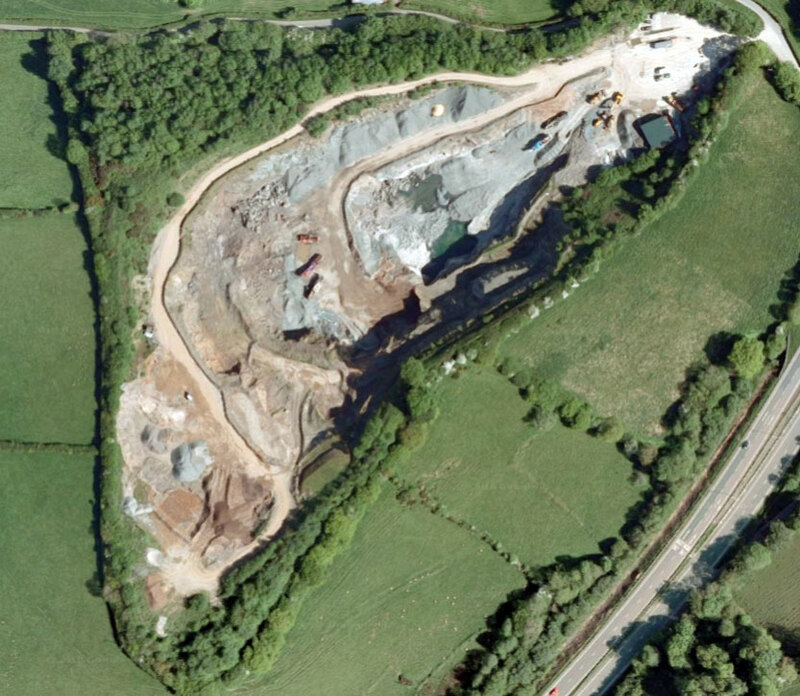 The second is Blackhill Quarry (below) which had re-opened in 1961 by the Harris family, is accessed via the A30 trunk road, which lies around 60 metres from the quarry entrance. Blackhill is rich in dolerite – a strong, durable rock of a low porosity, with discreet bands of slate, thin limestones and basaltic lavas. 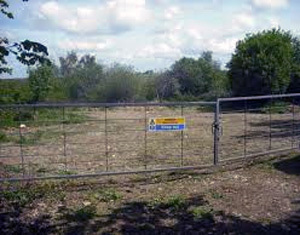 This quarry until recently had been worked by Tarmac, but at the present time remains closed. Both of these quarries exploited the dolerite rocks, however, the most famous stone from this area is an exotic type of greenstone which has been worked since Norman times. Mentioned in the Doomsday survey of 1086, Polyphant stone was originally intruded as the ultrbasic igneous rock picrite, and then subsequently altered so the original olivines and other minerals were converted to a mixture of talc, chlorite and various carbonates. The resulting rock is quite soft, but is a superb medium for carving and wiyll give a lustrous polish, producing a dark green shiny surface. Many churches in East Cornwall and farther afiled have interior features made of Polyphant stone.The war memorial adjacent to the West door of Truro Cathedral is one example of of carving in this stone. Launceston Priory and Castle also contain much Polyphant stone, but it does not weather well in exterior use, presumably because it is so soft and porous, and therefore susceptible to frosts. ‘Big Wesley,’ the Launceston Wesleyan church spire, so long a focal point of Launceston’s landscape, is one such construction that has suffered from this porous and soft state of Polyphant stone, and after several attempts over the years to stabilise it, was finally taken down in 1983 due to its dangerous state. 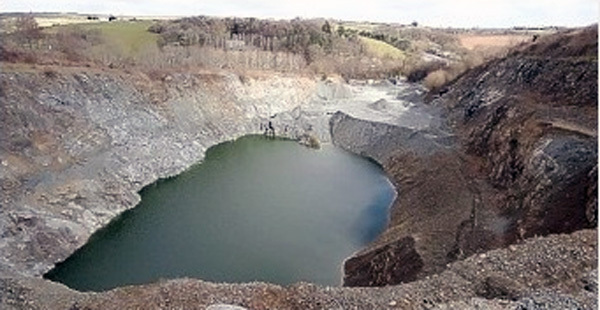 The quarry lies dormant, but stone is still extracted when the need arises and today is owned by Nigel Owen Stone.